Irving Marmer Copilowish was born on July 28, 1917, in Duluth. His parents were Samuel B. and Rose (Marmer) Copilowish, who had emigrated from Russia. Samuel was born on Aug. 10, 1883, in Russia, and immigrated to St. Paul in 1894. Rose was born in Russia on Dec. 15, 1884. The family moved to Duluth in 1913, and Samuel opened East End Cleaners in Duluth in 1914 and operated the business for 45 years at 926 East Superior Sreet. Irving later shortened his name to Copi, a nickname of his father’s. The family resided at 814 East First Street when Irving was born, and later moved to 419 Eighteenth Avenue East. Irving had one sibling, an older sister named Priscilla, who was born in St. Paul on Jan. 1, 1909. Priscilla married attorney Martin Friedman and the couple raised their family in Duluth. Irving attended Duluth Central High School, graduating in 1934. 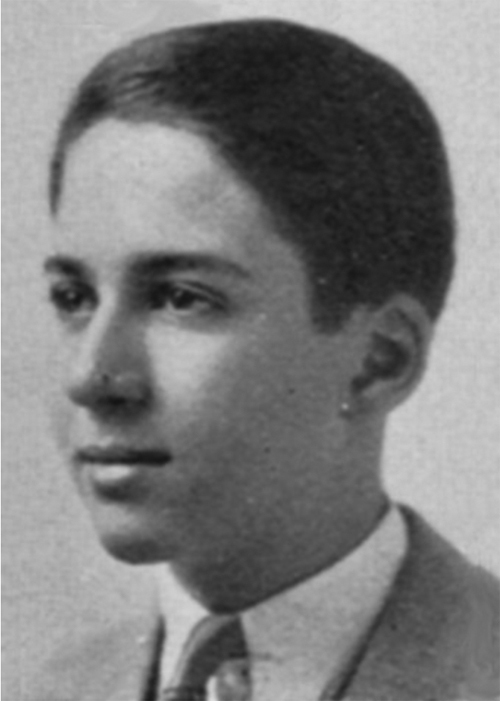 He was active in debate, participating in his junior year on a team captained by Abraham Kaplan, and serving as captain himself in his senior year. He was also active in the Stylus Club, the Zenith (yearbook), the Spectator (school newspaper), and the class play. After graduation from Duluth Central, Irving studied at the University of Michigan at Ann Arbor from 1934 to 1948, receiving the A.B., M.S., M.A., and Ph.D. degrees from that institution. He also did graduate work at the University of Chicago in the late 1930s, studying under Bertrand Russell, who was a visiting professor. Russell, in his autobiography, mentions Irving as one of his three outstanding students, saying: “We used to have close arguments back and forth, and succeeded in genuinely clarifying points to our mutual satisfaction, which is rare in philosophical argument.” Irving later held professorships at the University of Michigan and the University of Hawaii and taught at the University of Illinois and at Princeton University. Irving Copi’s book, Introduction to Logic, is probably the most widely used textbook on logic in the U.S. and is currently in its 12th edition. He also played an important role in the development of computers, co-authoring The Logical Design of an Idealized General-Purpose Computer (1954) and writing Artificial Languages (1958). He has been honored as a Ford Foundation faculty fellow (1953-54), a Guggenheim fellow (1955-56), and a Fulbright-Hays senior research fellow (1975). Irving’s father, Samuel, died in Ann Arbor, Michigan, on October 25, 1964. His mother Rose died in Honolulu, Hawaii, in January 1978. Priscilla died in Duluth on October 3, 1960. Irving Copi married Amelia Glaser in 1941. They had four children—David, Thomas, William, and Margaret. Irving retired from the University of Hawaii in 1990 due to ill health and died on August 19, 2002.